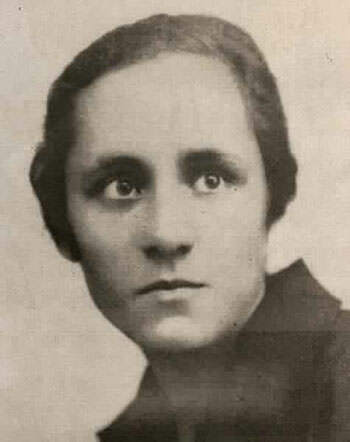 Born Anjeze Gonxhe Bojaxhiu, Mother Teresa (1910 – 1997) became convinced that she should commit herself to religious life at the age of 12. In 1928, at the age of 18, she left home to join the Sisters of Loreto in Ireland and, the following year, she moved to India, where she lived for most of her life. After serving as a teacher for nearly 20 years, Mother Teresa experienced a realization that she should devote her life to serving the poorest of the poor. 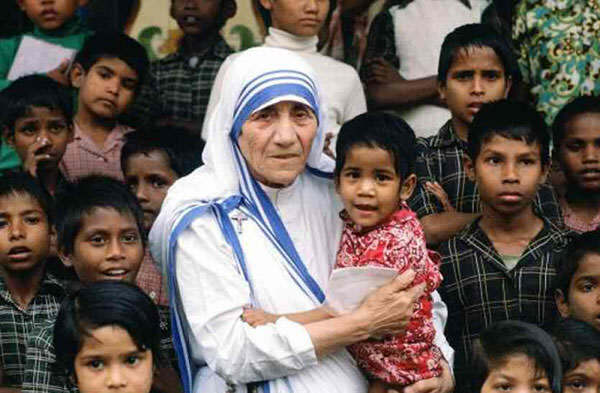 Among other things, she established the Missionaries of Charity, an organization which by the end of her life had over 4,000 sisters and was operating 610 missions in 123 countries. Mother Teresa received numerous honors and awards during her lifetime including the Nobel Prize for Peace; the Bharat Ratna, the highest civilian honor in India; and the Presidential Medal of Freedom, the highest civilian honor in the United States. Here are the 10 major achievements of Mother Teresa including her contribution in serving the poor and the sick. On September 10, 1946, Mother Teresa experienced what she termed as her “call within the call.“ She “was to leave the convent and help the poor while living among them. It was an order. To fail would have been to break the faith.“ Mother Teresa began missionary work with the poor in 1948. She adopted Indian citizenship and received basic medical training before she began tending to poor people who needed aid. Mother Teresa spent the remaining 50 years of her life dedicated to helping the poor, the sick and the dying. Moreover, she stayed among them and voluntarily took over their poverty. 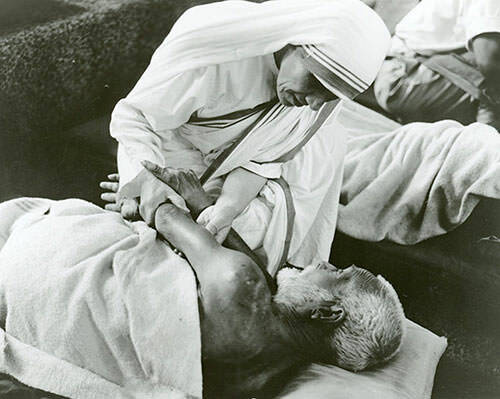 In 1950, Mother Teresa established the Missionaries of Charity, a Roman Catholic religious congregation. It began as a small community with 12 members in Kolkata, India. It then began to attract recruits and donations; and by the 1960s it had opened hospices, orphanages and leper houses throughout India. In 1965, Pope Paul VI approved Mother Teresa’s request to expand her congregation to other countries. Its first house was opened in Venezuela the same year. 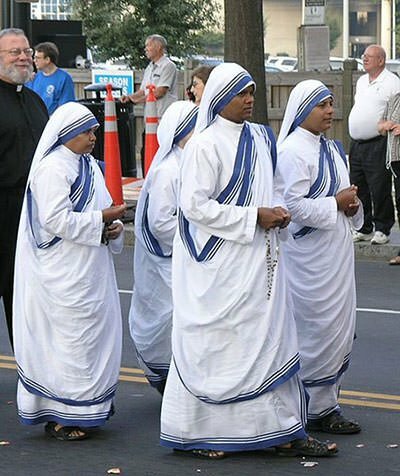 By 2012, the Missionaries of Charity had over 4,500 sisters and was active in 133 countries. It continues to care for those who include refugees, former prostitutes, the mentally ill, sick children, abandoned children, lepers, people with AIDS, the aged and convalescent. In 1952, Mother Teresa opened her first hospice for the sick, destitute and the dying in Kalighat, Kolkata with help from Indian officials. She did so by seeking permission to use an old abandoned Hindu temple to the goddess Kali. Known as the Kalighat Home for the Dying, the hospice provided medical attention to those in need and it gave people the opportunity to die with dignity in accordance with their faith. In the words of Mother Teresa, it was “for people who lived like animals to die like angels — loved and wanted”. In 1955, Teresa’s Missionaries of Charity opened Nirmala Shishu Bhavan, the Children’s Home of the Immaculate Heart. It was their first children’s home which cared for orphans. The center took homeless children and provided them with food, shelter and medical care. When possible, the children were adopted out. Those not adopted were given an education, learned a trade skill and found marriages. In India, a large number of people were infected with leprosy, a disease that can lead to major disfiguration. Mother Teresa created a Leprosy Fund and a Leprosy Day to help educate the public about leprosy as many people feared the contagious disease. She also established several mobile leper clinics to provide the infected with medicine and bandages near their home. 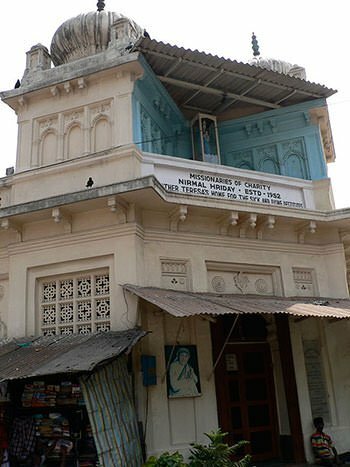 By the mid-1960s, Mother Teresa opened a place where lepers could live and work calling it Shanti Nagar (“The Place of Peace”). In 1962, the Indian government first recognized Mother Teresa by awarding her the Padma Shri, the fourth highest civilian award in India. The government of India then awarded her the Jawaharlal Nehru Award for International Understanding in 1969. She received a number of other Indian awards. 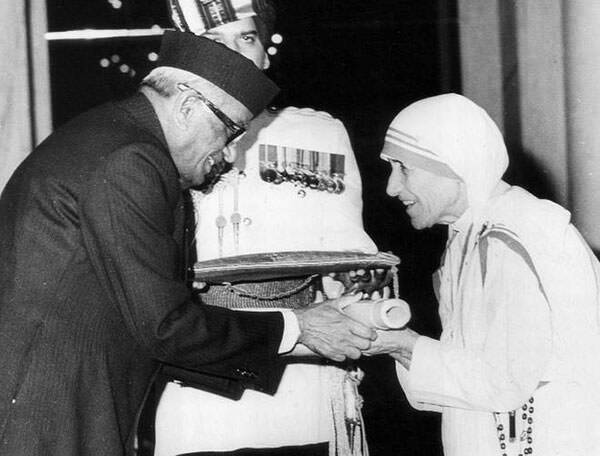 On January 25, 1980, Mother Teresa was awarded the Bharat Ratna, the highest civilian honor in India. The Siege of Beirut took place in the summer of 1982, as part of the First Lebanon War between Israel and the Palestine Liberation Organization (PLO). At the height of the siege, Mother Teresa helped evacuate 37 retarded and handicapped children from a mental hospital in the Sabra refugee camp. She did so by brokering a temporary cease-fire between the Israeli army and Palestinian guerrillas. Accompanied by Red Cross workers, she then traveled through the war zone to evacuate the young patients. The children were taken to the Spring School in east Beirut, an institution founded by Mother Teresa two years ago. In 1962, Mother Teresa received the Ramon Magsaysay Award for Peace and International Understanding. In 1971, she received the inaugural Pope John XXIII Peace Prize for her work with the poor, display of Christian charity and efforts for peace. In 1973, she received the Templeton Prize and in 1976, she was awarded with the Pacem in Terris Award. 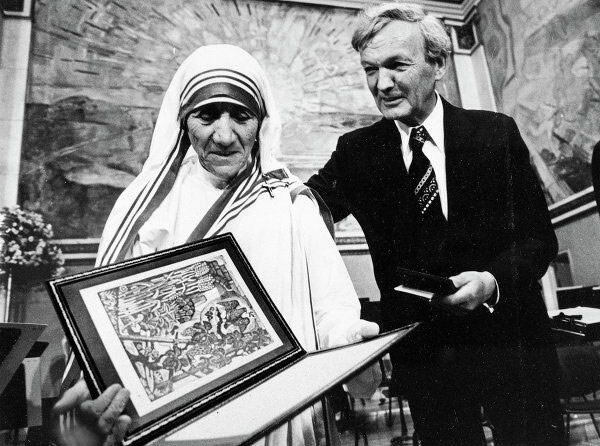 In 1982, Mother Teresa appointed an honorary Companion of the Order of Australia “for service to the community of Australia and humanity at large”. 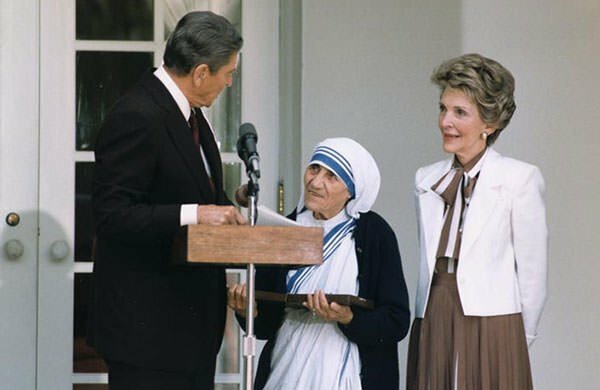 In 1979, Mother Teresa received the Nobel Peace Prize “for work undertaken in the struggle to overcome poverty and distress, which also constitutes a threat to peace”. In 1985, President Ronald Reagan presented her with the Presidential Medal of Freedom and in 1997, she was awarded with the Congressional Gold Medal. These two honors are the highest civilian awards in the United States. Other awards given to her include the Balzan Prize (1978) and the Albert Schweitzer International Prize (1975). Mother Teresa was and remains a source of inspiration for many across the world. Her life, which was devoted to helping people in need, led to many others joining her mission of serving the poor. During her lifetime, Mother Teresa was among the top 10 women in the annual Gallup’s most admired man and woman poll 18 times. She finished first in several of these polls. In 1999, Mother Teresa ranked first in Gallup’s List of Most Widely Admired People of the 20th Century.